The last two weeks have been very busy. A possible complication in Cloud’s pregnancy led to a an after-hours vet visit and an emergency caesarian section – a week before the birth was due. Although three kittens were born, only one of them made it through the night. We’re all so sad for Cloud’s loss, although happy that she’s come through the experience okay. We’re also very pleased to introduce little Alpha. 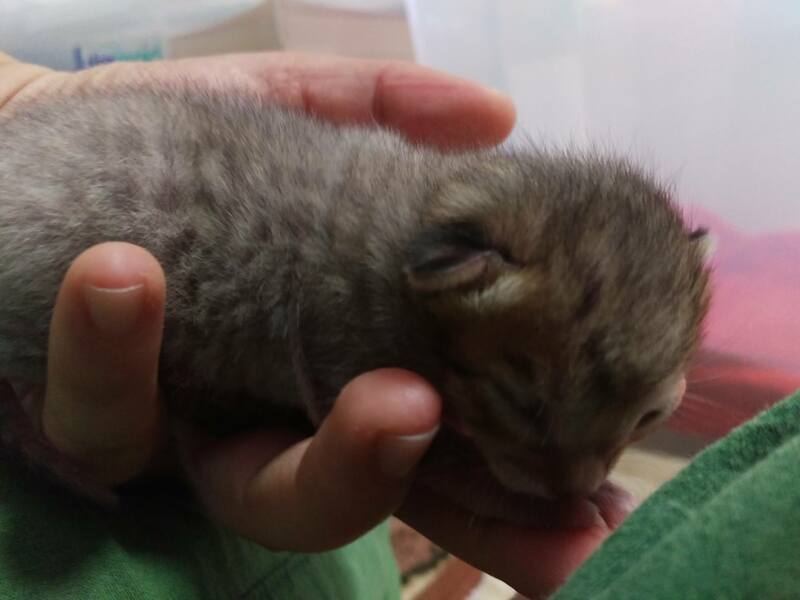 He’s still very young, and will need extra special care for a few weeks yet because he was born premature, but he’s feisty and adventurous already. His eyes aren’t even open and he’s exploring already. It’s our very first litter at Sunchaser, and we’re very proud of our little girl for being such a diligent mama. There has never been such a loved (and clean!) kitten before, or at least not in this house.